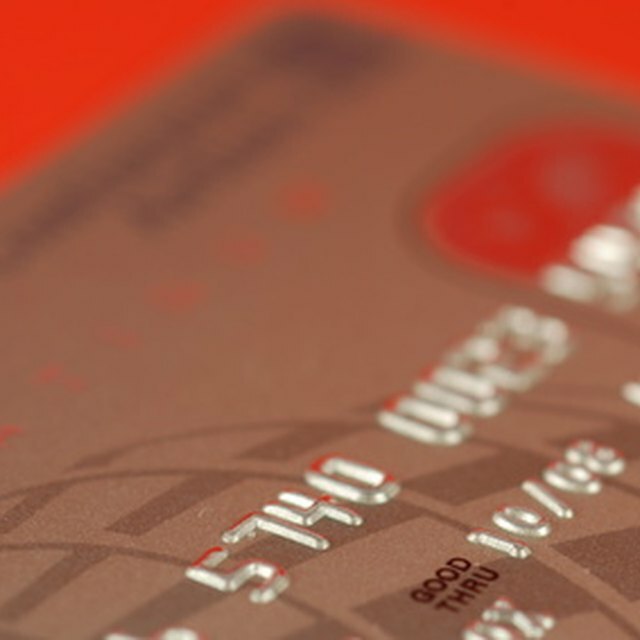 Factors determining your creditworthiness for a retail card are similar to bank-issued credit cards. That's because most retail cards are issued through the big banks. The higher your score, the more credit you can take on and the better interest rate you'll get. Unlike bank-issued cards, retail credit cards can only be used at that store or affiliated stores. Your credit score, which can range from 300 to 850, is based on the ratings from three credit bureaus: Experian, TransUnion and Equifax. According to MyFico.com, each of the credit reports must contain at least one account that has been open for at least six months. In addition, the site states, each report must contain at least one account that has been updated in the past six months. Each credit bureau calculates your score based on its criteria and the information it has about you. A good credit score is considered 700 and higher, but depending on the retailer, you could get a credit card with a lower score. You are entitled to one free credit report each year from each of the credit bureaus. Like all creditors, retailers are assessing your creditworthiness. This includes making timely payments on all credit obligations, the length of time you’ve had the credit available to you and your income-to-debt ratio. Since many of the retail cards are managed through the big name banks, you aren’t really getting any breaks. Your scores will reflect whether you have established credit, or have had credit problems such as late payments, charge-offs, judgments or bankruptcies. Although it's exciting to get a new credit card, especially at your favorite store, there are a few disadvantages. Every time you apply for credit, your score takes a hit. Opening several cards at once also could damage your score. So, be selective in applying for retail credit cards. Also be prepared to add the new credit card bill into the mix. Missing a payment or making a late payment can also damage your credit. With so many retailers and so many factors, it’s really difficult to pinpoint the average score needed. For instance, the Wal-Mart store card has been issued to people with credit scores as low as 593, but according to CreditKarma.com, the majority of cardholders have a credit score of 601 to 650. Sears and K-mart, which are handled by Citibank, base their credit decisions on TransUnion’s information and want an average score of 700, according to CreditKarma. If you've got a credit score of 700 or better, chances are you'll be approved for a store card.